Tantrums: The Definitive Guide | Have kids, they said. It'll be fun, they said. Ah, tantrums. One of the best parts of having kids. I mean, my kids certainly never throw them. This is purely from what I’ve observed of other kids. Yea, I’m lying. Of course my kids throw the ol’ tanty. All normal kids do (she tells herself). Tantrums come in all shapes and sizes, so I thought I would take the liberty of describing a few for you. You are most welcome. Ah, a personal fave. Read: not a personal fave. This one is particularly popular with the four-year-old-girl sector. It starts with a slight leg wobble, often before I’ve even finished saying ‘no’, or ‘probably not’. The whine builds up, in sync with the leg wobbling. From a slight “uhhhh” (leg shakes moderately) to a full blown “UUUHHHHHHHH”, complimented by the legs both shaking and stomping and, if we are particularly lucky, the arms join in too. Sometimes a, “BUT MUUUUUUUUUUUU” is thrown in there for good measure. You hear about the Terrible Twos. Why, oh-dear-lord WHY does no one talk about the Terrible Twelve Months?! The toddler can walk, and knows what they want. But, they may not have the vocabulary to tell you what they want. So, they scream. And/or squeal. And point. And squeal. And then, for good measure, throw themselves onto the floor, spread-eagle like a reverse snow-angel, and go for it, buns blazing and limbs flaying. This one is relatively manageable, because said toddler is likely still small enough that (a) they can be lifted and removed from the situation, and (b) they can be distracted easily. Mum: Look! Where’s Mumma? Boo! Boo! Ah, the Body Board. The plank. The “I’m going to make my body so incredibly stiff that you can’t move me. You can’t position me. You sure as heck can’t get me into that pram/highchair/car seat”. Often silent – probably because all their energy goes into stiffening their body like a 2×4. Very, very difficult to maneuver. Leaving you with two choices – (a) force them to bend. (b) wait it out. Oh yes, the classic tantrum. The one that gives tantrums a bad name. The one that you will endure at least once in your career as a parent. Most likely when it is least convenient for you. Some really neat places for the Classic to take place – a library. A supermarket. A small boutique shop in a rich area. When you happen to be walking past someone you know. Like your ex. Or your employer. This one is a free for all, a no-holds-barred event. There will be yelling, there will be crying, there will be grabbing. And that’s just the adult. You might be in a toy store and it’s time to put the Thomas train down and leave. You might be, say, needing to urgently pop into the supermarket for a minute, but Child simply does not want to comply. The hypothetical scenarios are endless. But, one thing is constant – the volume. Oh, lordy, the volume. They scream. They kick. They lie on the floor and flop around like a stranded fish. Then they lash out. Then they cry. And yell some more. And wriggle from your grasp when you try to scoop them up. And, if they are that way inclined, they run away, forcing you to chase them in a way that never, ever looks graceful. I think even Usain Bolt would look silly chasing a tantrum-throwing toddler. The best way to deal with this one? Keep calm. SO much easier said than done, this is for sure. But, do try. Do your best to remove them from the situation, ignore the looks from strangers (because, of course, Mrs McPerfect-Parent will be there, you can guarantee it. Scowling and whispering about “kids being out of control” blah blah). Don’t try to reason with a kid pulling off the Classic. It’s wasted breath. This one is a funny one. They want to yell and scream, they are So. Very. Mad. But, at the same time, they want you to hug them and make them feel ok. Even though you are the reason they are mad. I know, I said it was a funny one. side bar: I should mention, I typed this particular segment with a mock frown on my face, hitting the keys with precision and force. Just saying. Oh. Now, this one is complicated. And difficult to decipher. They are mad. And, appear to be dealing with the injustice that has been bestowed upon them in a grown up manner. Until you realise, they are simmering. While this is by far more preferable to, say, The Classic, you can bet your bottom dollar that this is the one they save for when you are at home. In private. Child A takes toy from Child B. Child A gets told off and asked to return toy. Child A scowls, folds their arms and huffs off in to the corner of the room. She sits, legs up and arms folded, and glares. And glares, eyes narrow and brows down. You tentatively ask her, “are you ok?” to which she replies with a stiff, jutted jaw and even narrower eyes. Scary, I tell you what. There is crying. And then there is loud, dramatic sobbing. “Uhhhhhhhh *hic* ah – ah – ah – uhhhhhhhhhhh – ah – ah – ah – uhhhhhhhhhhhhhhhhhhhh – ah – ah – ah – uhhhhhhhhhhhhhhh *hic*”. And when you dare intervene, it just gets louder. This one I try to ignore. With headphones on, if needs be. Now, don’t be deceived – The Teenager tantrum is not only for teenagers. On no, parents of girls especially beware – these hit at a frighteningly early age! 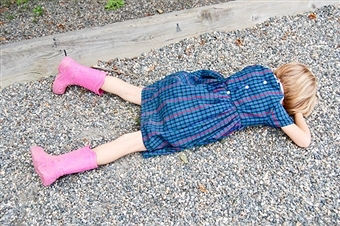 And, of course, because if tantrums were only limited to toddlers, that would be grossly unfair – the Grown Up tantrum. Especially for adults. “YOU STOLE MY PARKING SPOT, YOU NO-GOOD DARN-TOOTING WEASEL!” .. or, words to that effect. These are almost always met with a united stare of, “my dear, you are too old for this behaviour”. And so you have it. Tantrums. Love ’em or hate ’em, they are there. Manage them how you best see fit, different strokes for different folks and all that – what works for one kid may not for another. And, don’t take them too seriously. 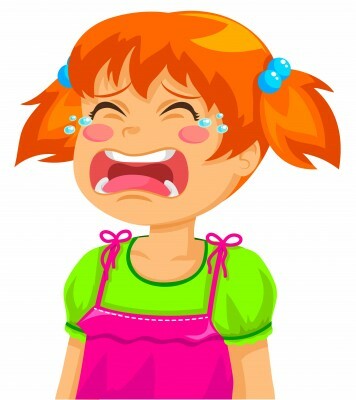 Kids throw tantrums, it’s their way of communicating and learning to deal with the big bad world out there! Adults? Well, bit less sympathy for them. Haha – ahhh, those ones where they want you to hug them while at the same time not touching them are good too!